In 2008 Barack Obama won the presidency with 52.9%. Now how did he win? Was it because he was younger, was it because people wanted to have a "first black president", or was it that throughout his campaign he utilized something his rival failed to do. Social Media. During the 2008 election Barack Obama launched a social media campaign to reach out to younger voters. The first time in any presidential campaign history. During the election his Twitter account had over 2.3 million twitter followers while McCain did not have one yet. To this day McCain only has 1.7 million followers compared to Obama's 28.8 million followers. There is no doubt that Barack Obama's use of social media helped his campaign greatly. People could check his twitter for updates and videos to his speeches and connect with other voters. They then could share it on Face Book with their friends essentially giving Obama free advertising. Social Media played a huge role in the 2012 election, and because Obama had already established a large presence on the web through the last campaign, he had the advantage. Mitt Romney, learning from the mistakes of his fellow Republican from last year also attempted to connect to people via social media though he was not as successful as Obama. During the 2012 election Obama had over 10 times as many followers and was much more popular among younger voters. 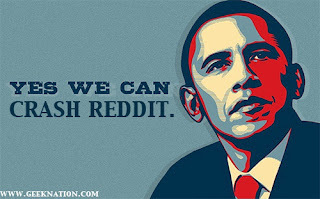 Obama even held an AMA (ask me anything) on the social media site Reddit. So many people went on the site that day, the website crashed. Millions of people went to ask the president anything and he would respond. This made him look more human and even conservative voters were jumping at the chance to ask him something. All the social media sites were stirred up over it. Nothing like that has every been done in a presidential campaign before. In short i believe social media played a huge role in the 2008 election, and even larger role in the 2012 election, and in 2016 it will define who becomes the next president.